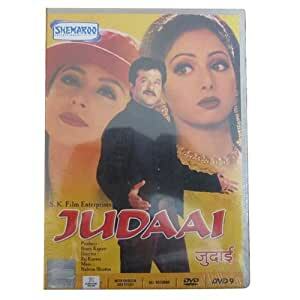 When Kajal (Sridevi) marries Raaj (Anil Kapoor), an Engineer by profession, she and her dad (Kader Khan), automatically assume that he is rich, wealthy, and corrupt. But that is not the case. Raaj does not have an air-conditioner, a car, not even a refrigerator. This infuriates Kajal, and in her mind she creates a separate world, where she is rich, wealthy, has several cars, and lives lavishly in a big bungalow. Even the birth of two children, and several years of marriage, does not change Kajal. An example of this occurs when Kajal meets her old friend Nisha (Poonam Dhillon) who Kajal feeds a pack of lies such that her husband is a business magnet, her family own several cars, live in a big bungalow etc. Nisha who is more wealthy than Kajal then offers to give her a lift home, only for Kajal to have to lie about the directions to her home according to the story she has fabricated. Kajal then realises her mistake when the bungalow she points out as her own turns out to be Nisha's. Nisha explains to Kajal that no matter how much and how little you have, your own house is your own home and that fabricating such stories only adds insult to her husband, family and home. When Janhvi (Urmila Matondkar) Raaj's boss's (Saeed Jaffrey) niece comes from overseas into their lives, she falls for the honest and humble natured Raaj and asks him to marry her; despite knowing that he is already married with children. After meeting the greedy Kajal, Janhvi offers 2 crore rupees in exchange for marriage to Raaj. And Kajal, seeing this as her opportunity to gain wealth and an easy life, accepts, not knowing that she is making a big mistake and this decision will change her life forever. Kajal forces Raaj into the agreement & gets a reluctant Raaj & Janhvi married and divorces Raaj herself, to comply with the Hindu Marriage Act; thinking that she and Janhvi will happily live together and share Raaj.